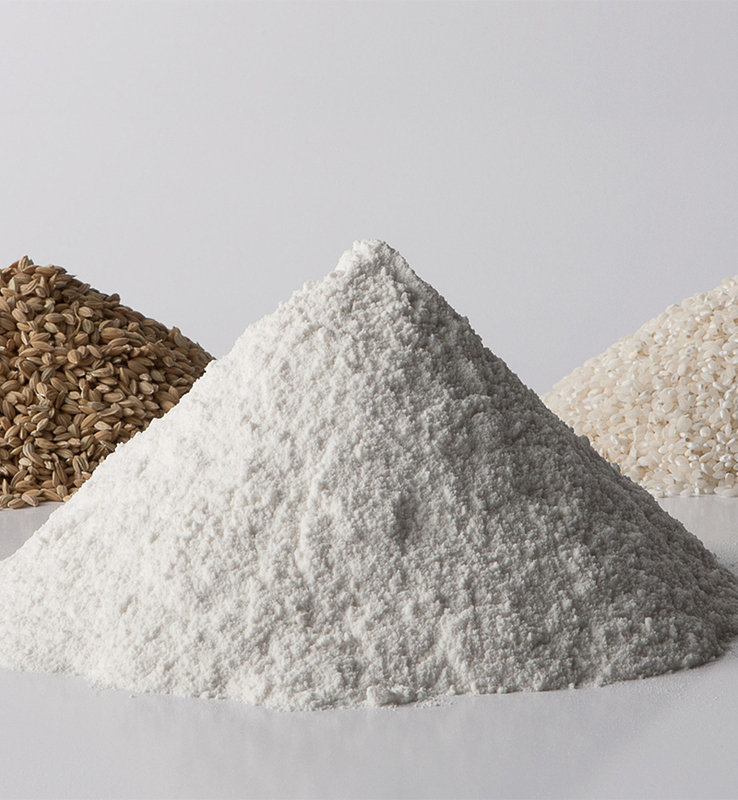 Conventional rice flours produced internally can be heat-treated in a drying plant that allows to obtain products with specific microbiological characteristics suitable for uses that do not require subsequent pasteurization. All products are packaged by automated closed-circuit systems to guarantee maximum food safety, avoiding possible external contamination. The paper bags are hermetically sealed through a robotic system that subsequently composes the pallets according to the form required by the customer. Conventional flours can also be sold in big bags.